Having helped dozens of business owners of all sizes and industry types successfully implement inbound marketing into their organization, we have boiled inbound marketing success down to one thing -- Strategy. The lack of a unique, proven, and flexible inbound marketing strategy is the primary reason why businesses fail at inbound marketing. It’s our job as inbound marketing believers and advocates to communicate how important having a proper strategy is to your success, and how staying the course frequently means the difference between payday and bailing out. 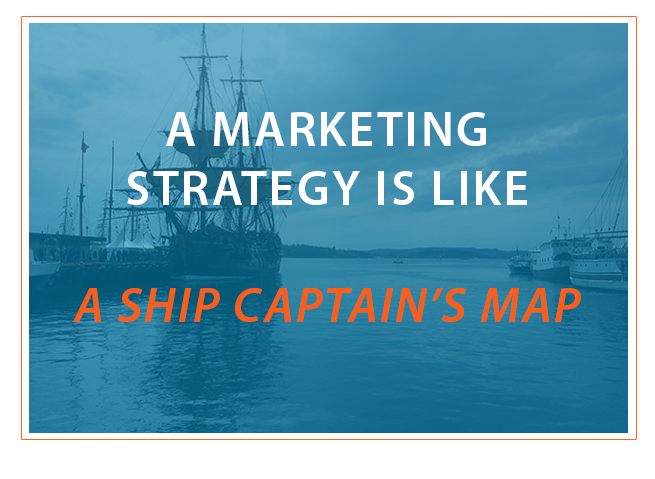 We have found that the following analogy helps to communicate this idea clearly and succinctly: An inbound marketing strategy for your organization is as important as a map is for a ship’s captain. You are at your starting point, your homeport. You want to reach your destination, which is converting your audience into customers. To get there, you must know where you are, where you are going, and what lies in between. A map is useless unless it shows you everything you need to know. If the scale is wrong or something is left out, you will get lost. Goals are a huge part of your inbound marketing strategy. At 98toGo, it’s one of the earliest things that we talk about with clients. We have a thorough goal-setting process that we take new and potential clients through so that we can identify concrete goals that we will aim to reach through inbound marketing. Having these goals in your strategy will help you envision where your company is headed. Just like a ship captain with their map, which provides them an endpoint for which they are trying to reach, your strategy gives you an end point for your marketing efforts. 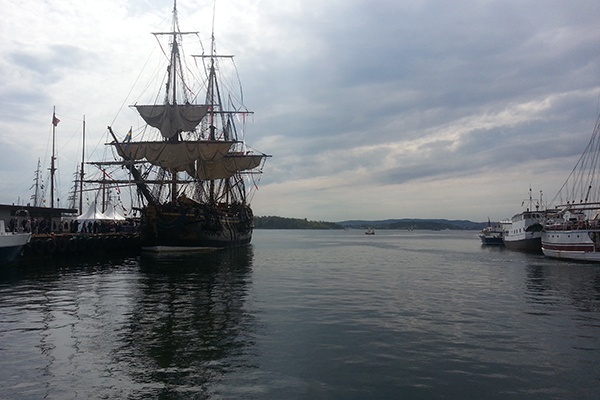 A good inbound marketing strategy will identify your company’s current state before ever setting sail. Using data markers, you’ll be able to measure your progress along the way. With an inbound marketing strategy, you can decide whether the voyage is too big or too small before you ever start. Your project scale needs to be apparent in your strategy. Each part of the inbound process is like a leg on your journey. With a thorough strategy, you won’t be inclined to stop prematurely because of discouragement or confusion. Think you’ve got it all in your head? Is your marketing team operating by feel? Be careful: If your marketing efforts are just a shot in the dark without a strategy, you really don’t know what you’re doing to help drive your results. And if you don’t know what’s working you won’t be able to scale those areas. Just because we’re thinking in metaphor doesn’t mean we aren’t talking about concrete solutions. Here’s how the map’s traits of "Informed, Measurable and Visible" apply to your marketing strategy. Use only accurate research and assumptions. Do not fill in your strategy with information you want to be true even when you know it isn’t. Clearly identify where you are in terms of revenue and marketing effort, and where you want to be in terms of revenue. Don’t be vague. Write your marketing strategy down in a place where everyone who needs it can access it. Aside from trade secrets, the strategy should be available internally. Having the map, or strategy, does not mean you won’t experience difficulties. Even the best map can’t show you exactly what the weather will be like on your journey. Remember to stick with the strategy. When things get rough, do not abandon your strategy out of panic. As your metrics begin to move up and down you will constantly return back to your strategy documents to help you understand the environment and get back on course. If your conversion rates are not rising at the pace you want, you return to your strategy to see where you can make tweaks and improvements. If your lead-to-customer close rate is lower than you expected, you return to your strategy to find ways to change that. Think back again to a ship captain's map. When the seas become stormy and the ship is blown off course, the ship captain relies on his map and his tools to help him regain his bearing. This is exactly the same with a marketer or business owner and their strategy. Your industry or region may experience a bad sales quarter, regardless of marketing or company. Another company may be competing for your same audience, but a reduced market share may still be best suited by the same strategy. Your company may have turned over employees or leadership, and performance drops as the teams adjust. Stay the course. You will weather the storm, and you’ll be glad you followed your strategy instead of missing out on the opportunity to reach your future customers. Want To See What A Strategy Document Looks Like? Click below to see an sample marketing strategy document.